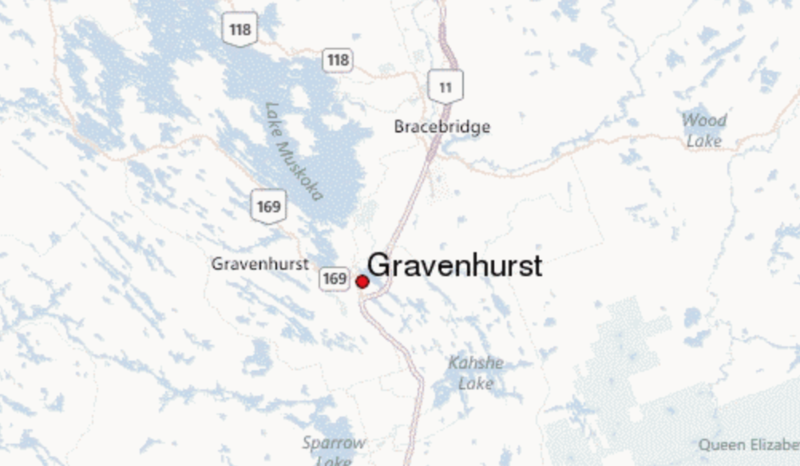 Gravenhurst is a town in the Muskoka Region of Ontario, Canada. It is located approximately 15 kilometres south of Bracebridge, Ontario. The mayor is Paisley Donaldson. The Town of Gravenhurst includes a large area of the District of Muskoka, known to Ontarians as "cottage country." The town centre borders on two lakes: Lake Muskoka, which is the largest lake in the region, and Gull Lake, a smaller cottage-bordered lake. Another lake, Kahshe Lake, is situated 10 kilometres south of the town. Today, the wharf is full of retailers and restaurants and hosts a number of events in the summer including Pirate Fest and the Gravenhurst farmers’ market. There are also condominiums and a Marriott hotel for those looking to spend some time in Gravenhurst.